Bill: Clinical Pilates, Steve? That’s kind of like a clinician needs to run the Pilates session. 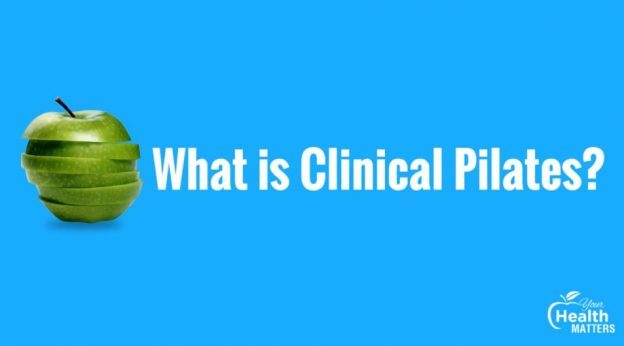 Bill: Well, what’s a clinician? Bill: So, if we’re in America, they’ve got a college degree? In Australia, you get a University degree. Steve: Often a bachelor or a postgraduate masters. Bill: And then you’d be hoping that they’ve got some Pilates qualifications as well as. Steve: That’s right, they would. 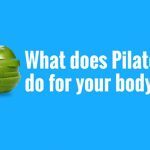 Bill: So, what is clinical Pilates? 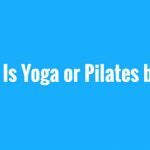 Why do fitness instructors then sometimes say that they do clinical Pilates? Steve: I can’t answer that for them. Steve: Cause that does shock me to hear that. Bill: People get confused sometimes. Steve: Yeah. I’m sure they do. 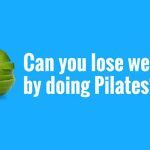 Clinical Pilates is where we tailor program, so the actual Pilates exercises, to that person’s needs. So that person may have a knee injury, they may have sprained their ankle, they may have Spondylolisthesis. Sorry to get too technical there. Bill: So, Spondylolisthesis — eight percent of the population in the world are born with a crack at the base of their spine. Like a crack in the glass, so it’s not a true fracture. But if I’ve got a Spondylolisthesis and I go to a general class of 20 people in a gym, and they push me into lots of backward bending, is it the Pilates that made me sore? Or is it the selection of the exercises in the Pilates class that’s made me sore? Steve: It’s the selection of exercises. I think you’ve nailed it right there. People who have different injuries require different specific exercises. Look, I’m a physiotherapist so I give physio exercises on a reformer which is clinical Pilates. Technically it’s physio exercises, it’s clinical Pilates because it’s Pilates exercises chosen from a physio perspective to fix people’s backs. Bill: That’s a bit tough on the old fitness trainer. How they need to know how they manage a reconstructed shoulder. So if I’ve dislocated my shoulder and had it reconstructed, how are they’re meant to deal with people in a group situation and tailor to all 20 people in a class. Steve: I actually think it’s unfair of the customer or the client to expect that of the trainor when there’s 20 people in there to come in and say “Hey! I’ve got this problem. Can you look after me?” When they’re not necessarily qualified to handle that person. And not just that, they got 19 other people who may have 19 other problems, or not, but it’s not fair on the other 19 or that one and then no one gets the benefit or what they’re after in that class. Bill: So as a clinician, have you worked with people who had spinal surgery? Bill: How soon after spinal surgery would you work with those people? Steve: Not before six weeks. Bill: Okay. Cause the bones got to heal? Bill: What about shoulder surgery? Steve: Yep. Again, in the rooms, in the physiotherapy rooms where I do one of my work, I deal with them quite soon after. Could be couple of weeks. But certainly doing big gross movements, often it’s not before six to eight weeks. Bill: So, have you ever taken someone with shoulder surgery from post-surgery back to say swimming at the master’s world games and getting gold medals? Steve: I have. I have done that. Bill: Really? That surprises me, Steve. Steve: I have. But it didn’t happen in a week. That’s a six-month program right there. Steve: Yeah. And it’s more baby steps. Again, choosing the right exercise not to aggravate or inflame that shoulder at that time. Bill: So, if I’m having problems in a class situation of Pilates, should I speak to my gym instructor to deal with that or would it be smarter to actually have an assessment or go to clinical Pilates class. Steve: I’d ask the gym instructor to recommend you a clinical Pilates class. Bill: So you might and do specific clinic work to return to your class? Steve: That’s right, back to the class. Or you may decide to do both cause they do go hand in hand. Steve: My pleasure, Bill. Thank you.That’s a good question. This entry was posted in Your Health Matters on March 18, 2019 by MHEALTH.